Most popular seaside Greece destinations await you to explore them! You will meet all the magic of the mountains and sea in one of the most beautiful seaside Greece destinations. ​​During Pelion holidays, you will walk in stone villages with picturesque squares, fountains, Byzantine churches, shaded by plane trees, beeches, chestnuts, oaks and fruit trees of every kind. You will find old trails that overlook the sea. Descending the mountain, you will discover beautiful beaches with white pebbles and crystal waters, taverns and cafes. Also, do not miss the chance to explore the spectacular coastal caves. As for accommodation, you can choose among several stone holiday villas in Pelion, offering unique views of the lush mountains of Pelion. In this corner of the mainland of Greece, you will find some of the most popular seaside Greece destinations for unforgettable holidays. Mani is definitely one of them. As soon as you reach the area, you will see imposing stone towers, barren landscapes, but also fertile ones, full of cypresses and olive groves. You will drive on mountains or sea routes, both of them spectacular. You will discover caves, endless sandy beaches, castles, atmospheric wetlands, archaeological sites. 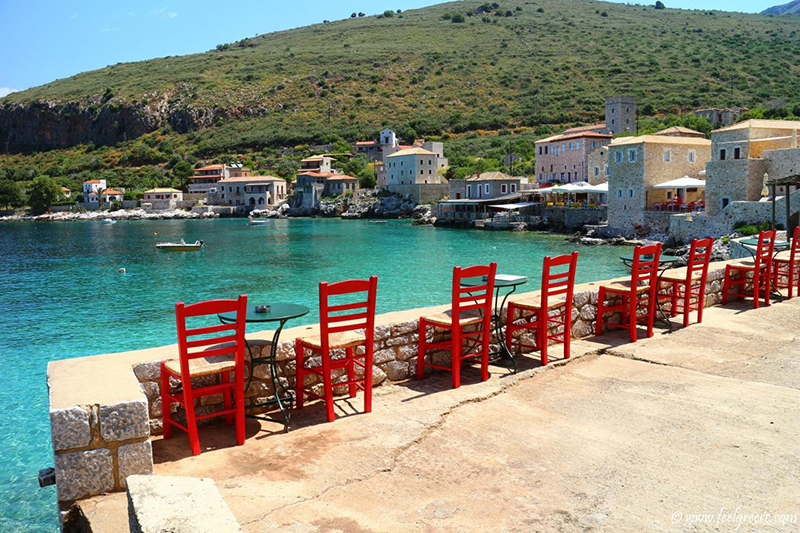 In the area of Mani, you will also find some excellent taverns and restaurants, which will reveal to you high quality taste, behind the wild charm of the landscape. As for accommodation in Mani, you will definitely find a holiday rental either in the area of Mani or the whole coastline of the Peloponnese. 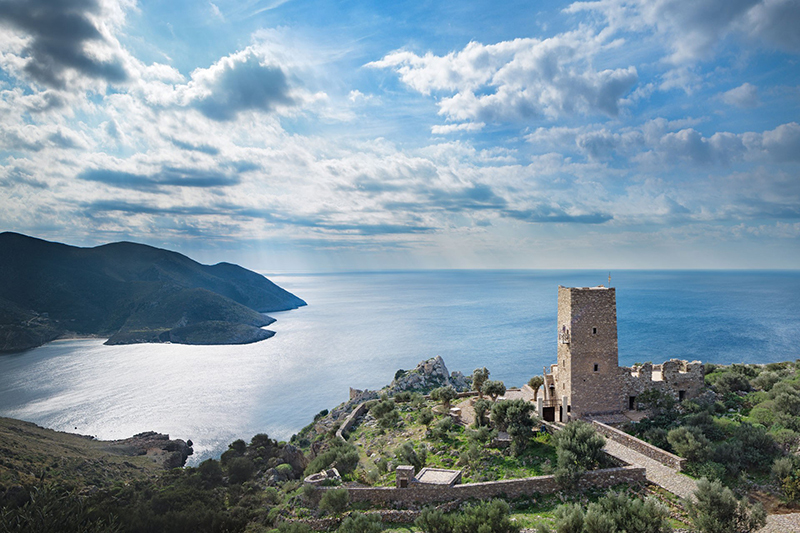 Many holiday rentals in Mani are old towers that have been renovated. The luxury they offer, the unique design and the element of stone, give you the impression that you live in a bygone era. You are in North Greece. On one hand, you see pine trees and vineyards that reach the sea, turquoise waters, sandy beaches and bars in small bays. On the other hand, it is the mountainous Chalkidiki with beautiful mountains and fir forests. Explore archaeological sites and caves, as well as dozens of seaside resorts offering food and entertainment. 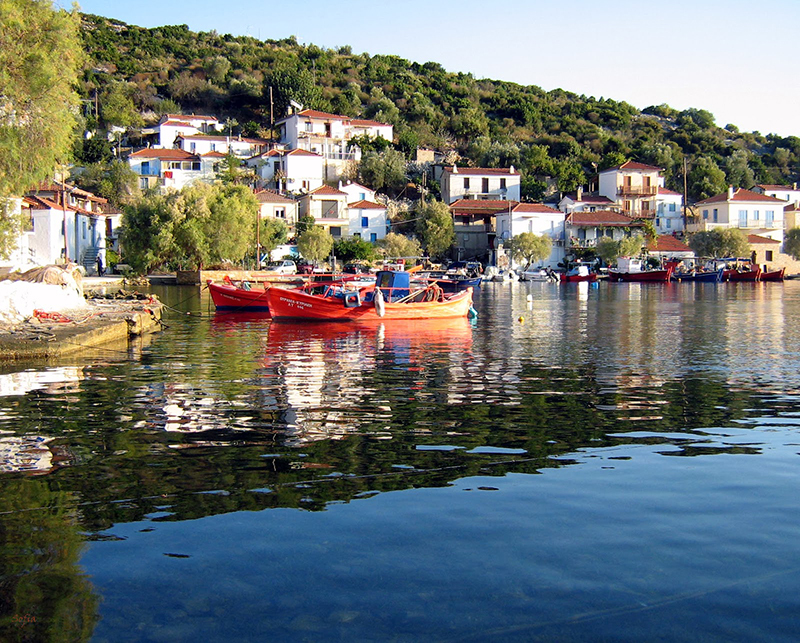 Are you looking for accommodation in Chalkidiki? Luxury holiday villas with special aesthetics and special services will offer you unique experiences and make your holidays unique! A dinner in your private beach, a relaxing spa, a gourmet meal by a private chef are only some of the services you would enjoy in a villa in Chalkidiki. 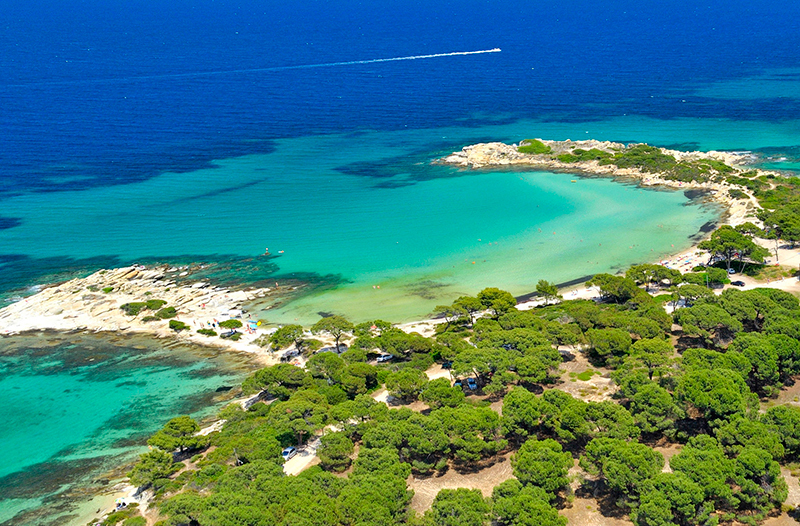 This unique combination of nature and cosmopolitan life is what makes Chalkidiki an ideal destination. The combination of mountain and sea is what really characterizes the landscape of Greece. Of course, Greek islands are really popular. However, if you choose one of the seaside Greece destinations, you will get the chance to swim in spectacular beaches as well as explore the mainland of Greece.